The Gap of Dunloe is a narrow mountain pass that was created by glacial ice millions of years ago. Located on Ireland’s west coast, it is best accessed by staying overnight in the neighboring towns of either Killarney or Kenmare. The Gap of Dunloe can be crossed by foot (a full day hike), horse and carriage, or car. Cars are technically not allowed, but if you are already traveling through the mountain pass, you are unlikely to be stopped. We drove through with a 4 door car with no issues. Taking a pony trap is another option for those that do not have enough time to hike. 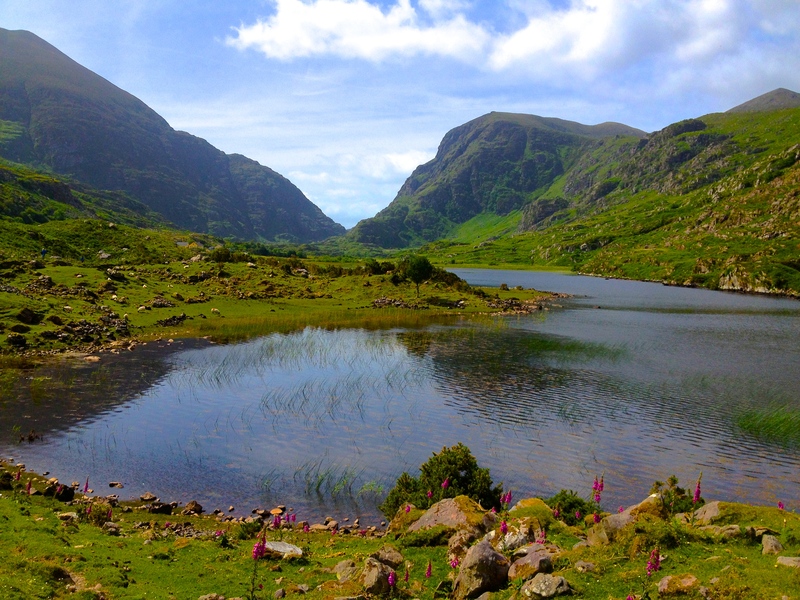 The valley, about 6 miles in length, is between the Macgillycuddy’s Reeks and the Purple Mountains. There are five lakes, or loughs, that you will pass as you traverse the Gap- Coosaun Lough, Black Lake, Cushnavally Lake, Auger Lake, and Black Lough. The River Loe connects the lakes to one another. 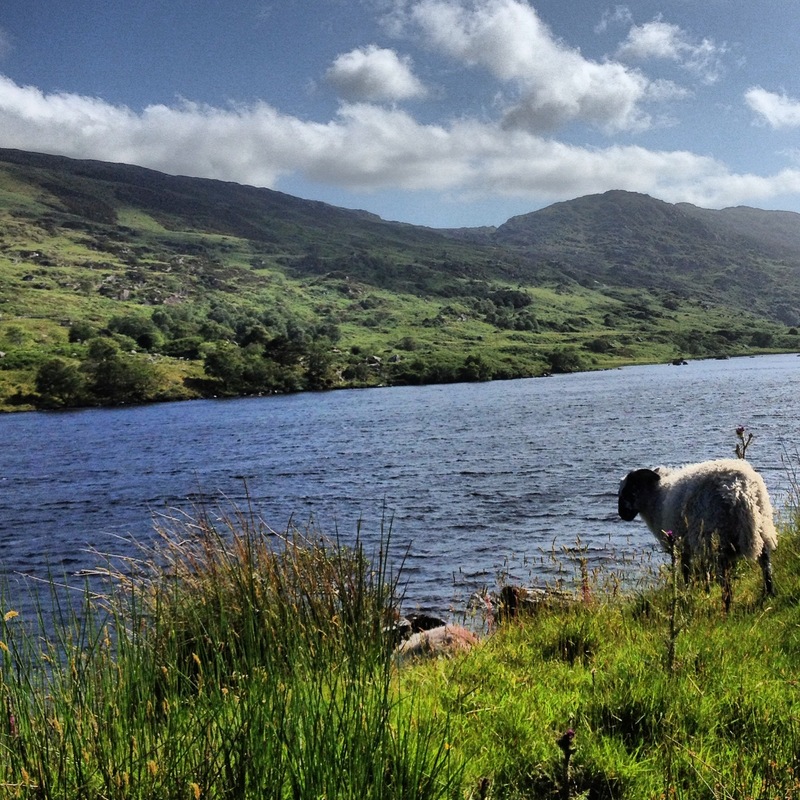 While visiting this area, you also should save at least half a day to drive the Ring of Kerry. The west coast of Ireland is best reached from Shannon Airport (United has nonstop flights from Newark/NYC to Shannon).